How To See A Galaxy In Your Toilet Bowl : 13.7: Cosmos And Culture The relationships between big and small, near and far, then and now can be perplexing. Commentator Adam Frank says you can bring it all into focus by spending a little quality time with your toilet. 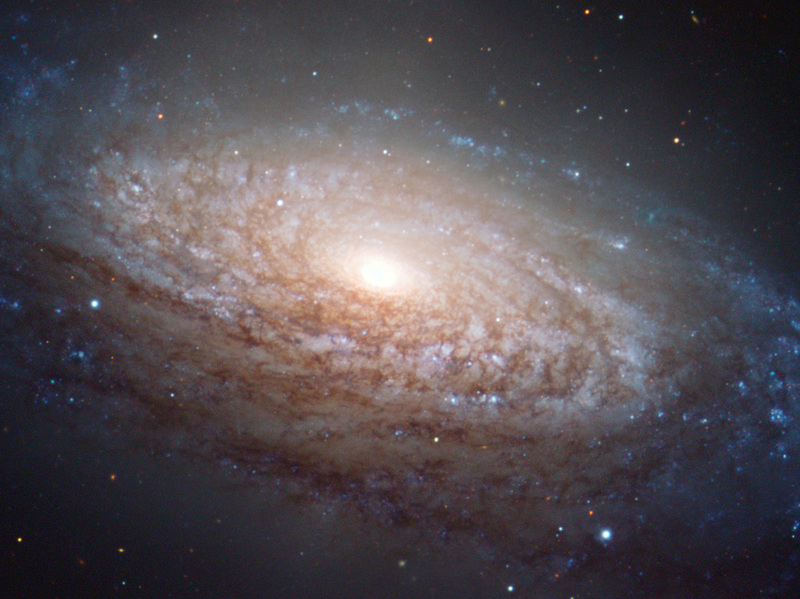 The spiral galaxy known as NGC 3521 lies in the constellation of Leo, a mere 35 million light-years away. Now go flush and see if you understand the connection between the two. Have you ever watched a little kid playing in a sink full of water? It could be the kitchen sink, the bathroom sink or even the tub — it's all the same to kids. The faucet goes on. The faucet goes off. The water fills up, the water drains away. Why is it that every kid everywhere can lose a good hour just watching water slosh around? Kids are natural-born scientists, and in the flow of fluids (in this case water) they have intuitively found a laboratory to explore that most essential scientific question: How does the world behave? But what about us grown-ups? The good news is that the childhood joys of the sink are still there for us, if we just take the time to notice. But it gets better — those splashy joys can be multiplied infinitely across the entire cosmos for us when we enlarge our vision and see that the whole universe is a giant sink. From the grace of spiral galaxies to the water spinning down your toilet bowl, the field of endeavor that scientists call fluid dynamics shows us something truly remarkable: The infinite heavens and the familiar Earth are the same, all united together under the same laws. Fluid dynamics: Standard in the natural world. If you think back to your eighth-grade science class, you may remember that a fluid is anything that can't hold a shape. Your car may be fast, but it's still a solid, not a fluid. But liquids like the petrol in your tank and the coffee in your cup take the shape of whatever they're poured into. They are fluids. Gases like the air you're breathing and the CO2 pouring out of your exhaust pipe also take the shape of their containers; they are fluids, too. The most important characteristic of a fluid is its ability to flow. The atoms in a solid — like an iron beam — are locked rigidly into place like Lego blocks in a Lego castle you (or your kids) built. But the atoms in a fluid can roll and tumble and cascade around each other (like those same Legos in the plastic bin when your kids have torn the castle apart). It's that flowing freedom that gives fluid motion its hypnotic quality. Allow yourself to become mesmerized by the flow of a fast-moving river around a bridge trestle and you'll know what I mean. There is poetry in the massive cascade of waves as the river water pushes past an obstacle. And there is dance in the roiling turbulence that emerges downstream. But, most importantly, the choreography of matter and motion you're watching right before your eyes doesn't care about place and time. What you see before your eyes today is being repeated all across the cosmos. If you don't believe me, go flush your toilet. As soon as you push that handle down on that most personal of household appliances, the universal laws of fluid dynamics kick in. The swirling pattern of water down the toilet drain is an example of what physicists call vortical motion. 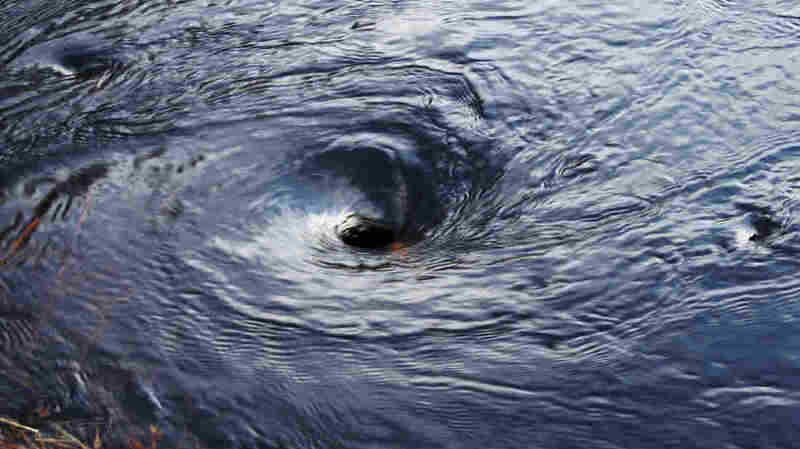 A vortex occurs whenever a fluid is forced to flow in circles. The polar vortex that made everyone's life a wintry hell last month originates with the atmosphere (a fluid) driven into circular motion by the Earth's rotation. But look at the graceful arcs of a spiral galaxy across 10 million light-years of space and you will see the same principles at work on scales so vast it will make your imagination cry uncle! (It takes the water in your toilet about a half-second to complete one rotation; the gas in a spiral galaxy makes the same trip in 200 million years). 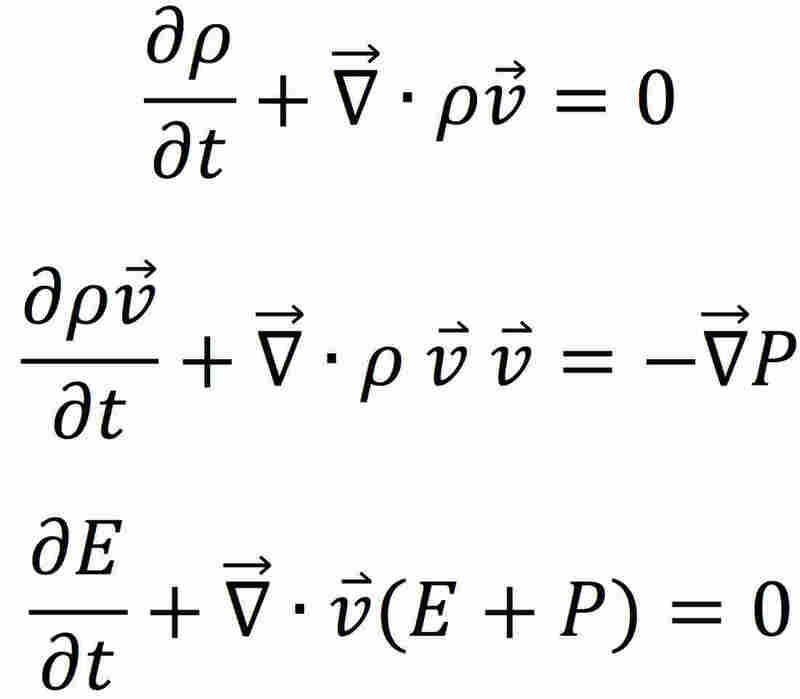 The laws of fluid dynamics can be written down in mathematical form in just four lines. I know most folks don't speak math. But I have to tell you: They are a thing of beauty, like calligraphy or lines of the purest poetry. And what gives them their power is that the behaviors of all fluids everywhere and "everywhen" are already there, hidden in those symbols. From the first moments after the Big Bang, to clouds rolling across the sky, to you staring down into your toilet — it's all the same. So if you really want to find your inner child and know the secrets of the cosmos at the same time, it's simple.